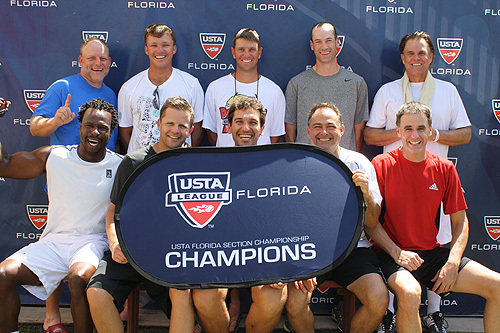 The last of the 2012 USTA League Nationals will be contested this weekend when the 6.0 Mixed Jacksonville (Boone Park) team, the 8.0 Mixed Tampa (Hampton Park) team, and the 10.0 Mixed Bradenton (River Strand Golf & Country Club) squad represent USTA Florida at the USTA League 6.0, 8.0 & 10.0 Mixed National Championships, Nov. 16-18 at the Hilton El Conquistador Golf & Tennis Resort in Tucson, Ariz. They aspire to join the six teams this year that have finished Top 4 at nationals. 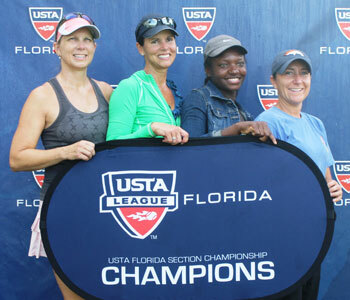 Florida has not brought home any USTA League national championships during the 2012 season, but has been well represented at USTA League Nationals play in Tucson, Ariz., and Indian Wells, Calif., in October and November. The top Florida finishers were the 5.0 men from Naples and the 3.0 men from Orlando, who both finished second at nationals. 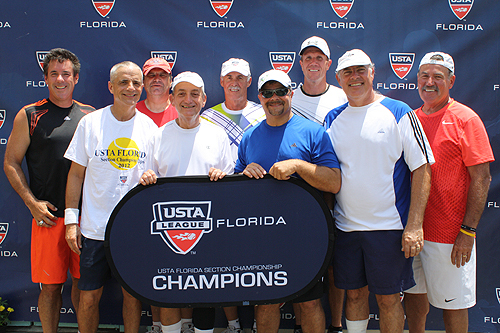 The 5.0 Naples men (Arthur Allen Tennis Center at Cambier Park) were runners-up at the USTA League 5.0 Nationals in Indian Wells. They ran all the way to the final before being edged 2-1 by the team representing the USTA Northern California Section. 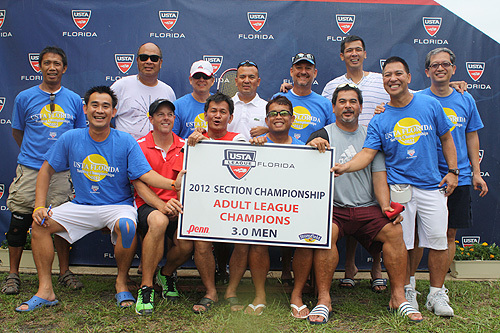 The men's 3.0 team from Orlando (Fort Gatlin Recreation Center) finished second at the USTA League 3.0 Nationals held at the Reffkin Tennis Center in Tucson, losing to a team from Dorado, Puerto Rico 4-1 in the championship match. Florida had four teams finish in third place at league nationals: the 4.0 women out of Gainesville (D.B. Racquet Club), the 4.0 men out of Tampa (Hillsborough Community College Tennis Center), the 4.0 senior men out of Melbourne (Fee Ave. Courts), and the 3.5 senior men out of Ocala (Fort King Tennis Center). Below are the 2012 Florida Top 4 finishers at USTA League Nationals, excluding this coming weekend when Florida will hopefully add a few more. 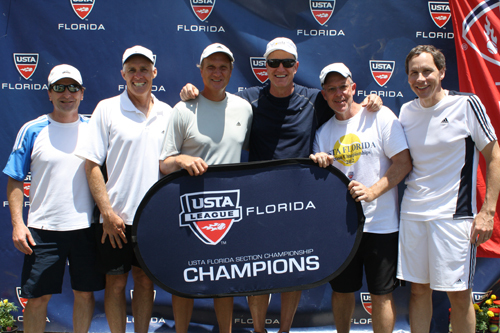 Congrats to all the Florida teams that traveled out west to represent USTA Florida. Are you up to date on the 2013 USTA League restructuring changes and the new age groups offered? For more info CLICK HERE. 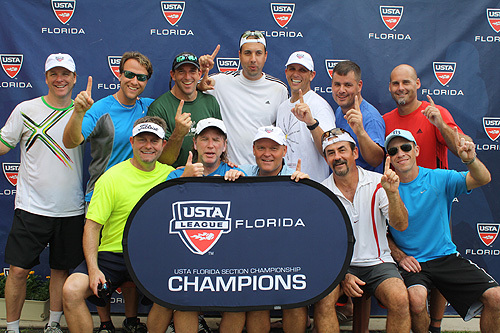 The USTA Florida Friday blog is written by USTA Florida Communications Coordinator Rick Vach, to e-mail him CLICK HERE. We love getting questions or feedback.